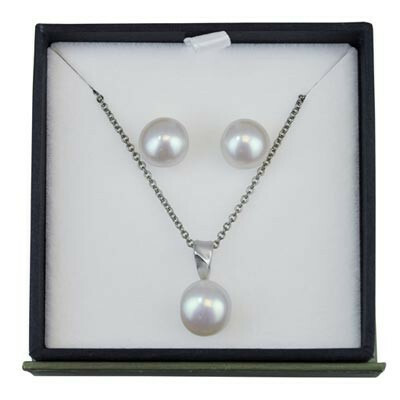 A chic and glamorous pearl set made of a necklace and earrings are included in this Honora gift set. These classic white pearl necklace and earrings are just fabulous! White is a fun and popular color since it adds a touch of flair to any glamorous outfit.